On Wednesday 11/18/2015, Gayle and I saw Fred at the marsh by the Bear Bridge. He was looking intently through binoculars at the reeds. No fooling! He found a snipe! There was some confusion on my part as to the correct name of this bird. 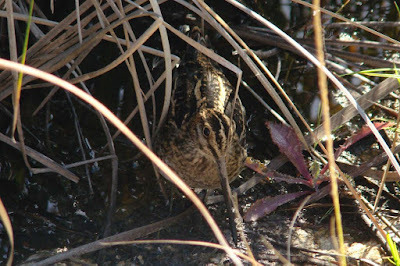 When I first started birding in NYC (way back when), it was called Wilson’s Snipe. 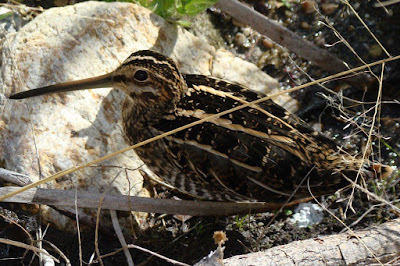 Sometime maybe 20+ years ago, the experts decided it was conspecific [the same species] with the Common Snipe from Eurasia, and it became a Common Snipe. 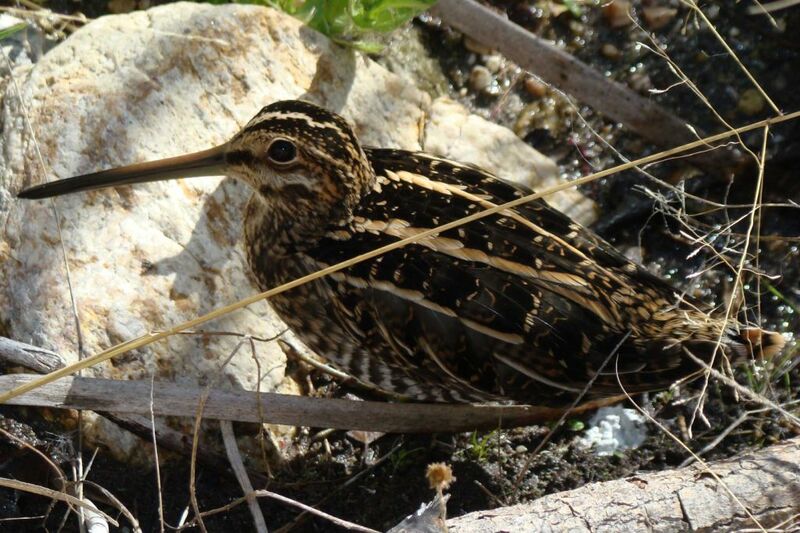 More recently, the splitters decided it was, in fact, a separate species and has been renamed Wilson’s Snipe. In Arizona, this bird is a primarily a migrant and winter visitant. 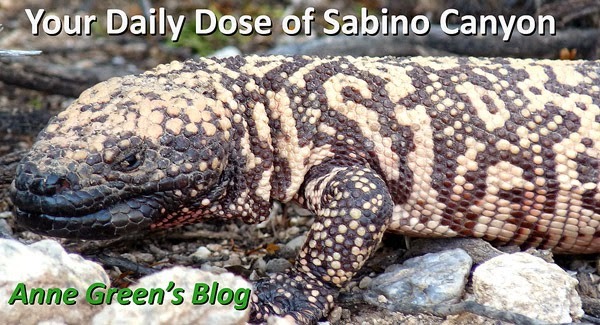 It breeds in wet mountain meadows, and, according to the Arizona Breeding Bird Atlas, there have only been a handful of confirmed or probable breeding records for Arizona in the White Mountains. In winter, it can be found in damp or shallow wet areas with soft muddy bottoms (ditches, lakesides, open marshes) with a little vegetation in which to hide. There, it probes for various arthropods. You normally wouldn’t expect this bird in Sabino even in a wet year, because most of Sabino Creek runs over rocky or sandy bottoms. However, the spot just below the first Bear Bridge is perfect habitat, as long as it stays somewhat moist. 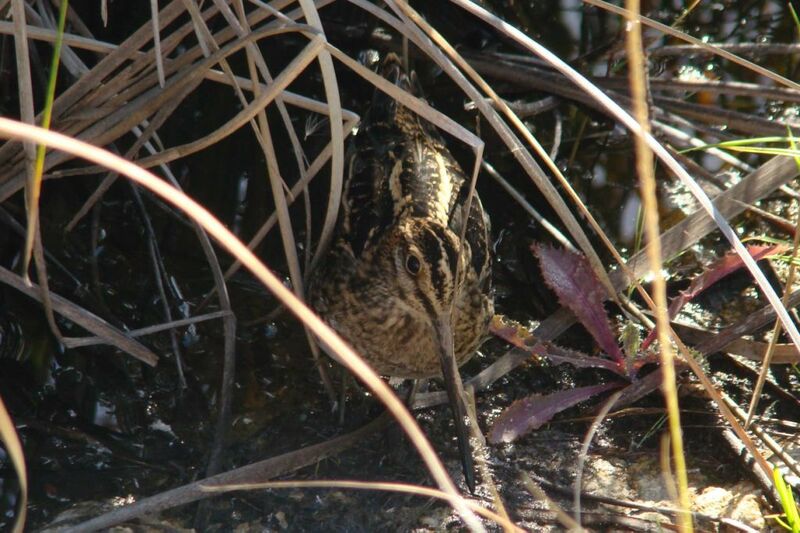 Thanks, Fred, for a successful snipe hunt!